Am I really willing to dance at least 3-4 hours a day at a ballet school in the city in 2 years? Will I even be accepted into a good enough ballet school? From age 14-18, I also plan on attending some very good summer intensived, like Pacific Northwest Ballet, Ballet West, but once again what if I'm not good enough and I am not accepted into these summer programs? tremendously, Odette and I also just want to say thank you for all that you have done for me. Thank you for your great message, it is good you let me hear all your thoughts so I can understand your situation better. Firstly, I have to say 'wow'!!! You are very, very on top of your goal as a young dancer. Even when I was your age at 13, I was not as advanced thinking as you and I am sure not many dancers would be able to make such a clear plan as you have done. It is excellent though, because you have yourself prepared and you know the stages of training it takes to reach a professional level. As you know, becoming a professional dancer will not just happen unless you commit to the right stages of training. However, I would not stress yourself out about it. You are very young and although it is great to look ahead to your future and your goal, you have to live in the moment and focus on what you are doing now. Do not let the fear of your future affect your present, otherwise of course you will feel nervous and anxious. This is natural though, and I do it too, but you must try and take each day as it comes and you will be gradually reaching closer towards your goal. There are many, many questions we all want to ask ourselves about the future. We want definite answers and know it will all work out. But the future is unknown which is why we must focus on what we do now in order to build our future. the idea of the stages you will go through to become a professional. But also remember, things can change as time moves on and you never know what other opportunities may come along the way. Keep your plan, but be flexible enough to 'go with the flow' too and see what is right for you in that moment in time. All you can do is keep working hard and enjoy every moment of each day. 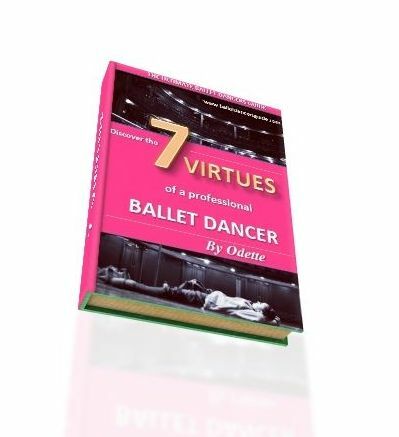 I advise you to chat to your ballet teachers too and ask their guidance, as they are the ones who know you best. Also, summer courses are great to get yourself noticed as a dancer and learn more to develop. Keep going Jacqueline, and remember I am always here to listen and help!